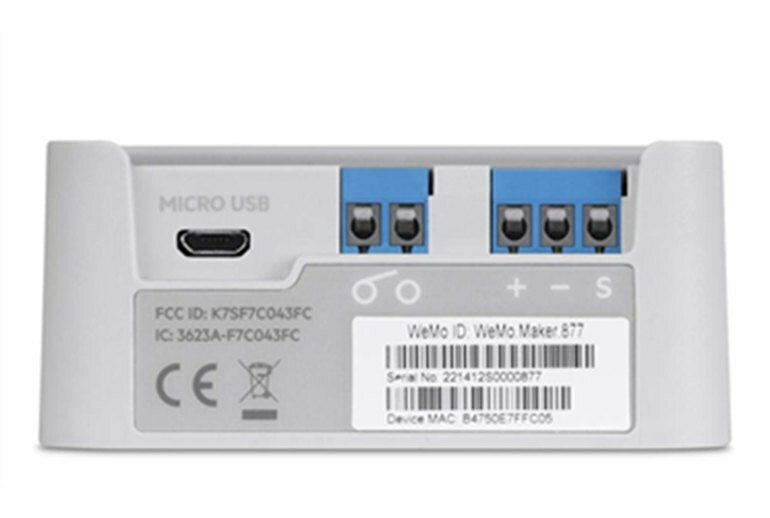 The WeMo Maker has simple screw terminals for switch and sensor connections. 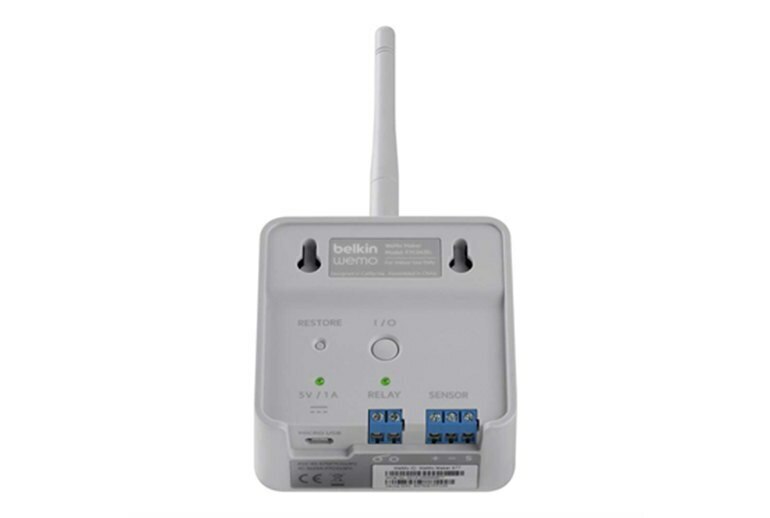 You can connect almost anything that can be controlled with a low voltage switch or relay. Industry standard TTL 5v sensors are readily available. You need some electrical knowledge to hook it up. The relay is only low voltage, so you can't directly connect a table light or appliance. You need one WeMo Maker for each device being controlled so the price can be high depending on your needs. 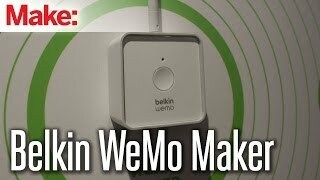 The Belkin WeMo Maker bridges the techie DIY market and the average home automation user. With WeMo Maker, hobbyists can connect and control low-voltage electrical items like a garage door or window blind from an iOS or Android device. With a little electrical savvy, no programming knowledge, and a free app, WeMo Maker can connect most low-voltage devices to the Internet. 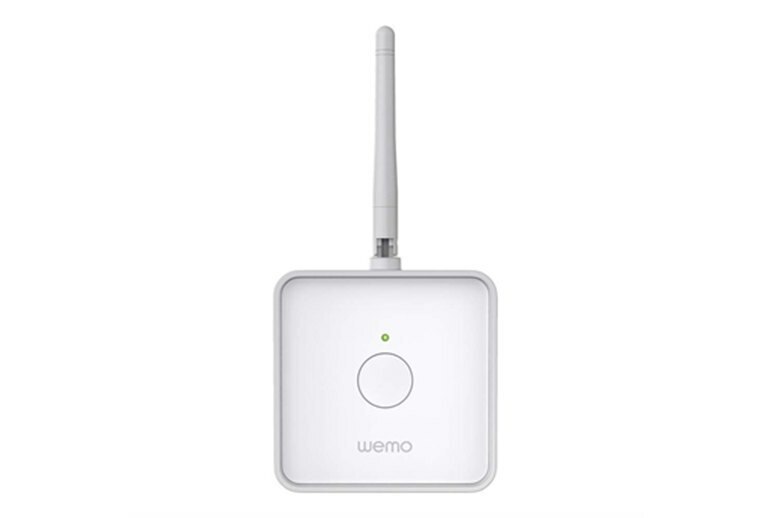 With the low-voltage limit for the WeMo relay, you can’t connect directly to an AC outlet for a lamp or motor, but you can control them through a low-voltage external relay. Add an optional sensor like a magnetic switch or photocell to see if a light is on or a door is closed. ... as long as you have a basic understanding of wiring, you’ll have no problem finding a simple solution for the Maker in your own home. This is a quick way to automate something simple in your home, like a garage door, light, electric lock, or something similar. If you already have a few WeMo devices but want to play with hooking up something other than lamps and appliances, you owe it to yourself to buy WeMo Maker. 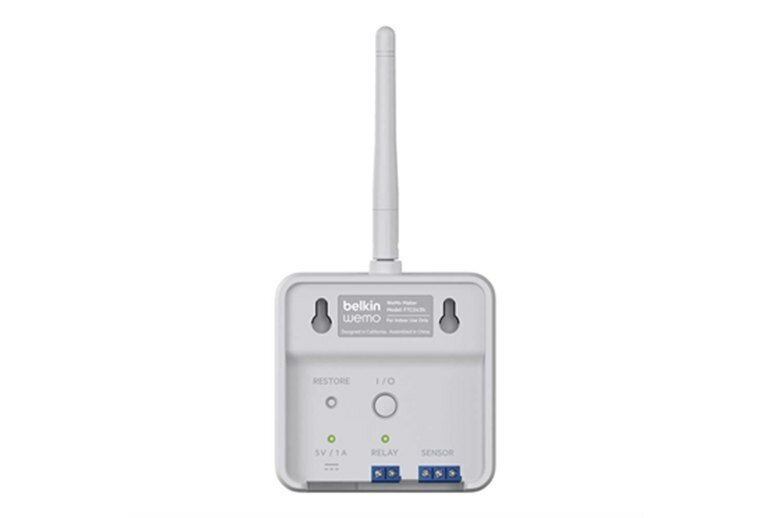 If you've been wanting to make your own smart home but couldn't really find the right mix of smart appliances to replace your existing ones, then Belkin's new product might give you an alternative. 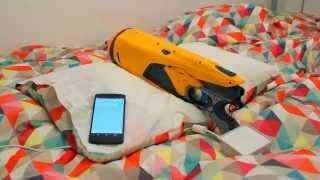 This device targets hobbyists with knowledge of electronics, and not the average consumer. ... the device allows you to switch up to 36 volts DC or take readings from 5 volt analog sensors. All of this can done remotely through the Internet with Belkin’s app via their cloud service. Scenarios in which the WeMo Maker can be used range from triggering motors for door locks, to allowing for the remote control of automated sprinkler systems.